Takeda, manufacturer of the drug Actos, settled thousands of cases at the end of last month for $2.37 billion amid allegations that the drug causes bladder cancer. Lawsuits against Takeda began to spring up a few years ago when a study linked Actos to bladder cancer. At the time, Actos was a groundbreaking drug used to treat Type 2 Diabetes, but as more and more people began taking the drug, those same people began to develop bladder cancer. 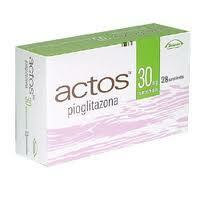 In fact, a European study actually suggested that Actos raised the chance of bladder cancer by around 83%. While other countries banned the drug outright, Takeda never recalled Actos in the U.S.
Sure, a 2014 study suggested that there was no correlation between Actos and bladder cancer. The study was a substantial 10 year analysis, which sounds on the face of it pretty sound. The study had just one flaw: it was financed by Takeda. Classic. But even a later Takeda funded study could not hide the fact that the drug was linked to an increased chance of bladder cancer. Then the company took a left hook to the chin. A jury awarded an Actos user $9 billion in a 2014 case. A judge later reduced the damage award, but this certainly gave Takeda an indication of how an Actos case might play out in front of a jury. I think Takeda got the message from a jury that clearly reviled what Takeda did. It is like a boxer getting knocked out. You are never the same after taking a hit like that. Your defense lawyers come flying off their high horses pretty quick. In general, the plaintiffs alleged that Takeda failed to adequately warn them about the risks associated with Actos and even attempted to conceal the dangers of the drug. Even though they are signing a $2.37 billion check to get rid of these lawsuits, they still stand by their drug, claiming that the settlement was a strategic move to avoid the “uncertainties of complex litigation.” Takeda further alleges that the benefits of Actos outweigh any costs and the company will refuse to admit liability. Apart from the $9 billion verdict, a few other Actos cases actually went to trial, with plaintiffs winning in five of them. They lost some too. Some were overturned but, again, Takeda got the message loud and clear. The settlement was official when Takeda’s board of directors signed off on it in late April. It allows for $2.37 billion to be dispersed to plaintiffs when 95% of the plaintiffs opt in. That dollar figure goes up to $2.7 billion if 97% of the plaintiffs opt in. This is probably a little artificial. I don’t see Takeda tossing the settlement because only 93% of the plaintiffs agree to settle their lawsuits. Although the settlement amount seems huge, it has to be divvied up among the nearly 9,000 plaintiffs. It is up to a court appointed Special Master to figure out exactly how to do that. 4,000 Actos cases were already consolidated in Louisiana as part of multidistrict litigation, so this settlement would prevent the MDL from going any further. So for people asking “How much money will I get from the Actos settlement?”, I think the answer is that it remains to be seen. Even if plaintiffs do not opt in to this settlement, Takeda has still made over $300 million available in the event of future litigation. So after all is said and done, the company could spend as much a $3 billion to make people stop suggesting that their drug is dangerous. Should you opt out of the Actos settlement? There is no way a blog post can answer that question for you. This is a conversation you should be having with your lawyer. If you don’t have one, you need to get one quickly. If you or a loved one has been prescribed Actos and has been diagnosed with bladder cancer, contact our Actos injury lawyers at 800.553.8082, or online here. Actos and Blindness: is there a connection?